Welcome to my stop on the Blue Sky Alpacas EXTRA blog tour! The lovely people at Blue Sky Alpacas recently sent me a hank of their brand new EXTRA yarn along with a pattern from their Destination Collection. Check out the video below to see why this new yarn and pattern collection are so special. 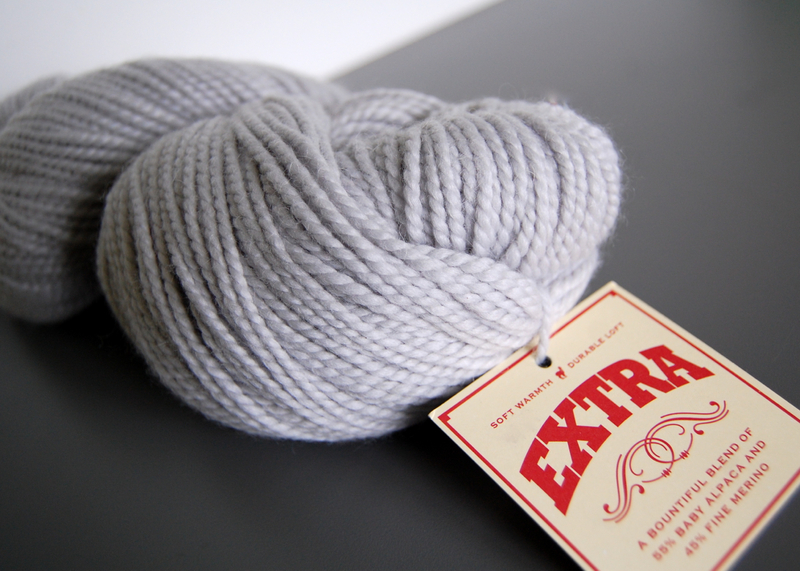 EXTRA is a lovely and lush mix of 55% baby alpaca and 45% fine merino wool. It comes in a generously sized hank (218 yards) and is available in 14 colors. It's a versatile Aran weight that is light and lofty and incredibly soft. 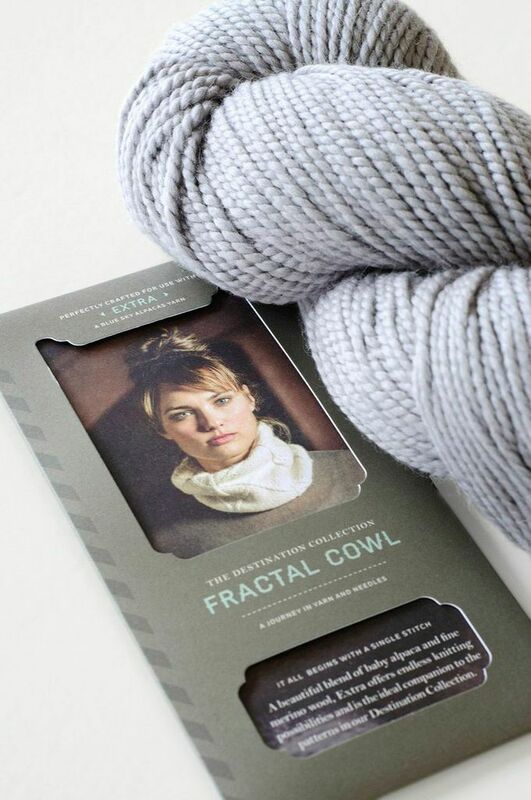 You will love knitting with this yarn – I promise. The Destination Collection is inspired by hometowns, far-away places and everywhere in between. 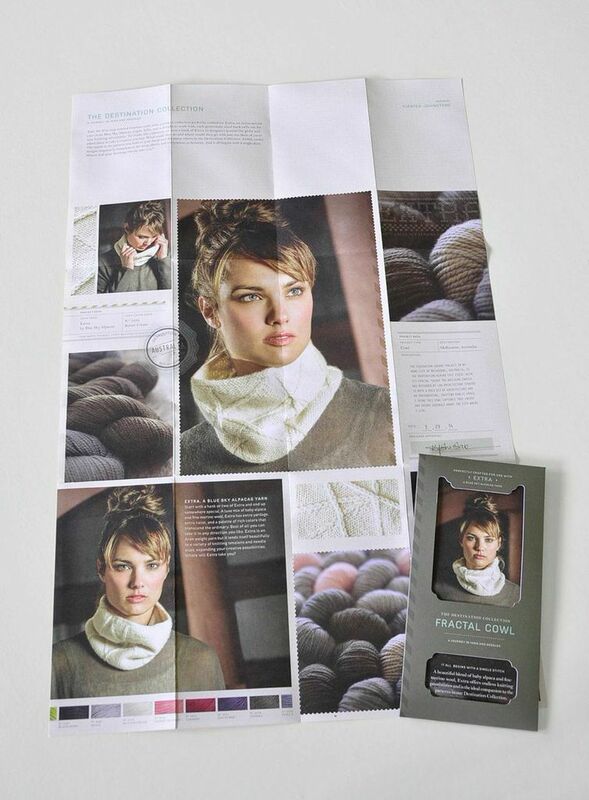 The accessories in this collections were created by top Blue Sky Alpacas designers from all over the world. The gorgeous pattern I have been working on is the Fractal Cowl by Kirsten Johnstone. Each pattern in the Destination Collection has been designed exclusively for EXTRA and each pattern has a story. And I have to say, Blue Sky has done a wonderful job with the design and packaging of their printed patterns! I just love how this folds out into a full page of photos and pattern instructions with a full-sized chart on the back, and then folds right back up into a sturdy little envelope that's easy to throw into your bag. The construction of this cowl is genius. The unique cabled design is inspired by the cutting-edge architecture of Australia, where designer Kirsten is from. 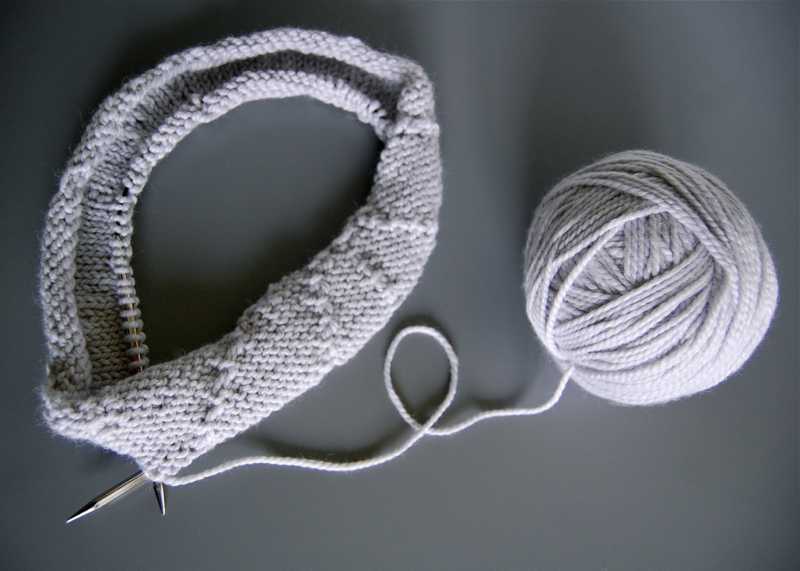 Every round is different, and it's knitted (with ease) in stockinette. Then you flip it inside-out to see the geometric design. Brilliant! I've just started working on mine, but it's already been a super enjoyable knit. Giveaway is open until Saturday, October 25, 2014 at 11:30 PM CST. Comments must include a valid email address or Ravelry ID so I can contact you if you are the winner. A big thank you to Blue Sky Alpacas for the opportunity to be a part of the fun! I can't choose between Lake Ice and Shale! They're both so lovely. I can't tell if my comment went through--Nocturne and Fedora are amazing! Oh my. I can't choose between Notcurne and Still Water. AMAZING! Normally I'm drawn to blues, but Carmine is just beautiful! Thanks Jen! I love the Fedora, but the whole collection is great. Although North Atlantic seductively calls out to me, and Still Water is THE color that I would be if I were a color. Marsh is my favorite! They are all gorgeous, though. I love carmine and nocture and would have trouble deciding between the two. 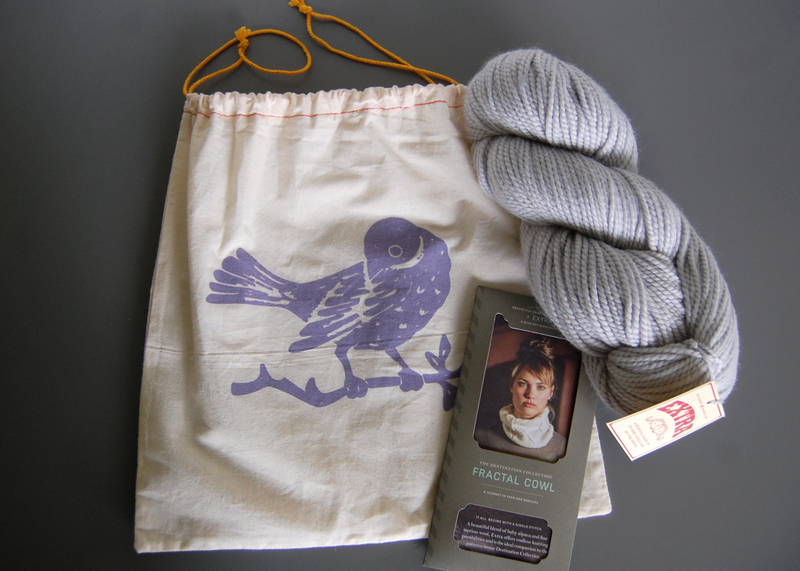 That cowl is so pretty! I love the color selection available also. I am on a neutral kick... I love Java & Arctic Circle ! Oh, my! Nocturne has my heart! I must have a hat in that color! Sorry, my Rav ID is teeheewithmee! I'm really liking north atlantic! Cherry blossom is a close second, though. Marsh is my favorite, I love the vibrant color! Fedora is both blue and grey, matching my eyes and most of wardrobe. Beautiful. Guess I'm a girly girl, I like Cherry Blossom! coxmi8 on ravelry. Lake Ice for certain, craftycupcake on Ravelry. I'd usually go for Marsh, since it's close to my favorite Benjamin Moore green, wasabi, but these days I'm going for teals, so Still Water is my favorite. But I like Fedora to go with it. Very mid-century modern of me - hence my ravelry name, NJModernist. This new yarn from Blue Sky looks wonderful, can't wait to squish it. My fave colorway is Java or maybe Buttercream. I'm thinking neutral to go with everything. I think Java is my fav. seestephyknit on Raverly. Butter cream is the color that shows how lofty it is with excellent stitch definition. 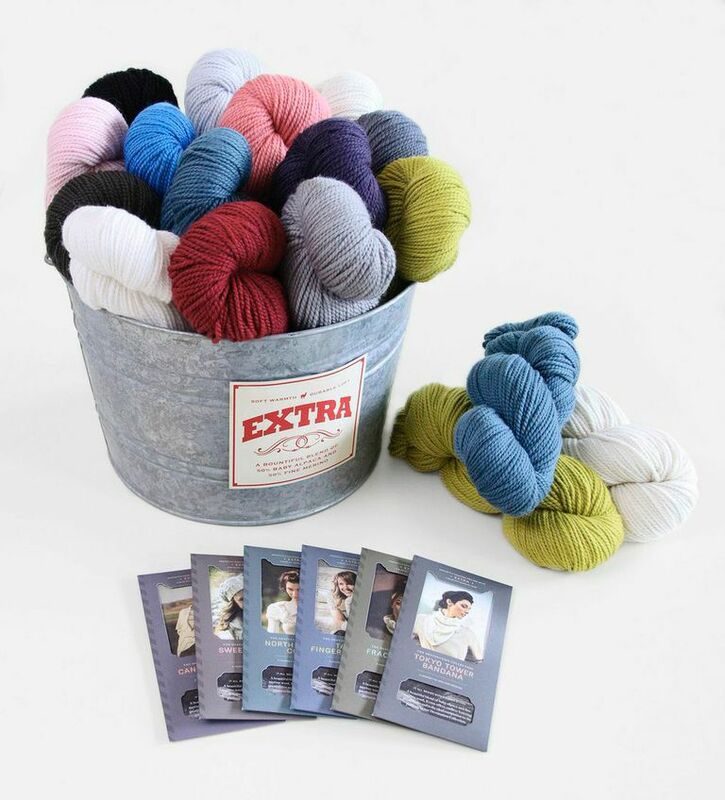 Knitting a one skein project in that color would be like taking a mini-vacation. yes please and thank you...I love the Marsh colorway. Lake Ice is my favorite but I have to say that Cherry Blossom is a lovely shade of pink. IceBebe on ravelry. That Lake Ice is pretty awesome, but my favorite is probably Cherry Blossom if not the paler pink shade. Already like Blue Sky Alpacas on Facebook. My Ravelry ID is Organic09.